According to HMRC data, second home buyers - including property investors and landlords buying to rent out - were undeterred by new taxes on extra properties. Last year 23 per cent of properties sold in Sheffield were classified as second homes. Around 2,050 were bought in the financial year 2017-18, with a combined value of £337 million. That's despite an extra three per cent stamp duty charge on additional properties, introduced in April 2016 as part of a government effort to deter buy-to-let landlords, property investors and second home owners. The number bought last year in Sheffield has increased by 15 per cent since 2016-17, when around 1,780 second homes were purchased. 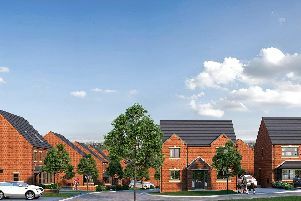 Policy leader Will Jeffwitz said: "In any community, if more homes are bought up as second homes then there are fewer available for residents - and the houses left are more unaffordable." He added: "If families and young people are priced out of their local communities it can have a hugely demanding impact on community life - with village shops, schools and pubs closing in alarming numbers as a result." He added: "Our solution is that there should be a renewed focus on building more affordable housing, which reduces the impact of a high ownership of second homes." 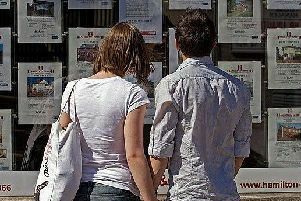 Lawrence Bowles, research analyst at estate agent Savills, said that first-time buyers are still at a "fundamental disadvantage", despite the new tax. In total, around £28 million was collected from stamp duty in Sheffield last year. HMRC figures say that duty on additional dwellings made up 46 per cent of that amount. A Treasury spokesperson said: "Higher rates of stamp duty on second homes means we can afford to offer more support to first time buyers through the stamp duty relief." Stuart Goff, director at Hunters estate agency in Sheffield, said: "The figures given here surprise me as the offices I control have not seen that sort of percentage. "That's probably because this is a bit regional - some areas have many more rented properties. But I would still have expected the figure to come in at under 10 per cent. "The extra tax measures are having a small effect but mainly affect wealthy landlords in London and the south-east. “Sheffield is not a massively wealthy city. The average buy to let here is £100,000 to ££150, 000 and many buy to lets find the cash rather than be mortgage buyers, so there's no tax relief on the interest of a mortgage anyway...just the extra three per cent on stamp duty to pay. It's not a deal breaker. “We have had a few more enquiries from landlords in the the south looking if they can get a better return in the north and we sometimes have professionals buying city centre apartments as a second property.